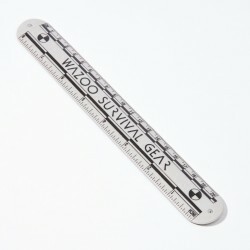 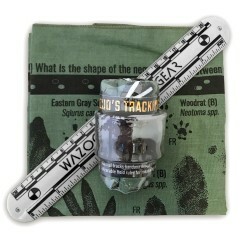 This tracking field kit from Wazoo contains a bandana featuring a range of accurately depicted US wildlife and a forensic style ruler. 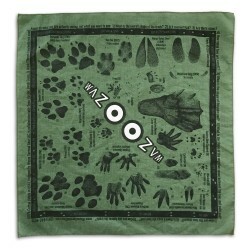 The bandana is 22" x 22", made from cotton in the USA. Accurate identification and interpretation of animal behaviour via track and sign is an outdoor skill that has been all but lost by the average person, even to the most experienced outdoors-folks. 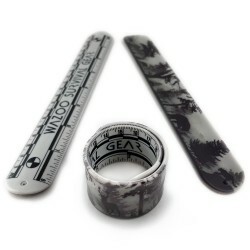 Learning even the basics of tracking will yield a more enriching awareness in nature as well as a practical tool when your life may depend on it. 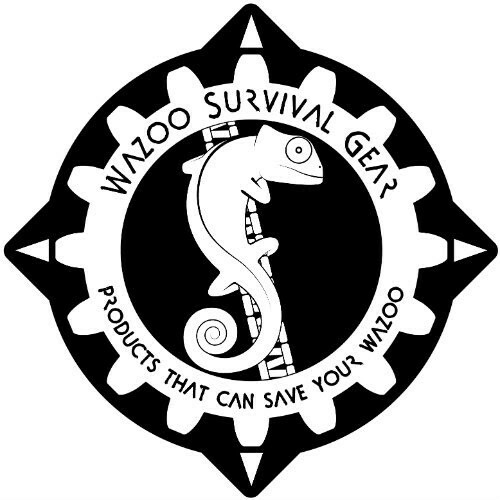 Animal tracking may aid you in finding a food source or avoid becoming one for a predator.